You’ll be really spoilt for choice when you take the children out for a meal in Brighton. Whatever your favourite cuisine you will find something to suit the whole family. From small child friendly bistro restaurants with great play equipment, to large welcoming chain restaurants serving food from all over the world. An opportunity to gather and enjoy the company of the whole family. 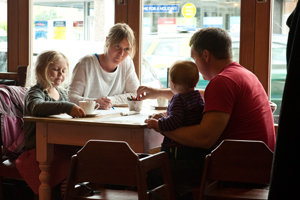 We’ve collected some family friendly places for a relaxing eating out. The restaurant is warm and welcoming, offering a relaxed and non-pretentious gourmet dining experience. Their new children’s menu is packed with nutritious and delicious meals that kids will love plus they are now giving away play sheets including a set of crayons with every children’s meal, helping to keep the little ones entertained in their Brighton restaurant. Menu options range from teriyaki beef fillet salad to sweet potato, butternut squash and spinach curry to an old school banana split. For younger guests, the children’s menu presents classics including macaroni cheese, shepherd’s pie and sausage and root mash. Modelo Lounge caters for all ages and tastes throughout the day. 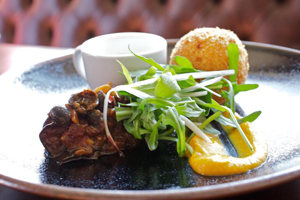 Located just a short walk from seven dials the Chimney house offers something for everyone from a cup of tea and a slice of cake, pint of Harveys, glass of prosecco, dirty little burger or a relaxed three course meal. They specialise in creating mouth watering dishes with a distinctive local flavour. 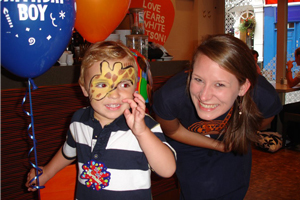 The idea behind giraffe is to create a friendly, welcoming place where a smile goes a long way! It’s about exploring the wonderful foods from around the globe and opening our ears to music from around the world. On the kids menu you’re spoilt for choice: from english breakfast to italian pizza. The Ginger Dog is a local pub offering real ales and fine wines together with a good hearty menu of traditional pub food. The Ginger Dog has baby change facilities, high chairs and a special Kids’s Menu, which is just £6 for a drink, 2 courses of delicious food, including home made ice creams. 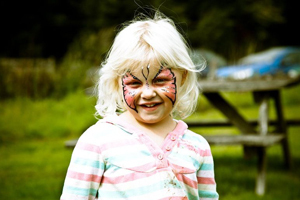 The farm is constantly evolving and improving, and will no doubt see plenty more changes in the generations to come. 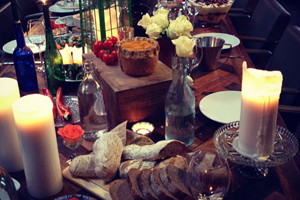 All of their food is freshly prepared in the Farmhouse Kitchen by their chefs. 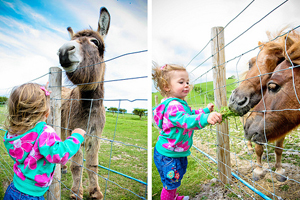 After your lunch you can visit with your children to the farm park which includes loads of different activities. The Half Moon in Plumpton is a beautiful two hundred year old traditional country pub. Nestled at the foot of the South Downs National Park, in an area of outstanding natural beauty, the Half Moon is situated ten minutes from both the historic county town of Lewes and the charming village of Ditchling. They are extremely proud of their menu, which changes with the seasons and uses only the finest locally sourced produce. Their cellar is well stocked with the finest local beers from Harveys of Lewes to their local vicar’s famous Rectory ales. They have an extensive wine list of Old World and New World wines that has been chosen to compliment thier menu.